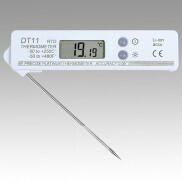 Temperature dataloggers with internal and exteranal sensors, thermocouple data recorder type K. Data recorders/loggers for transport, food industry, fridges, cold stores, labs, pharmacy, agriculture and museums. 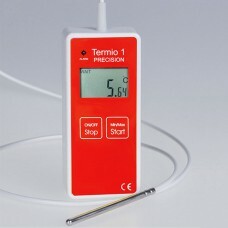 Termoprodukt manufactures temperature dataloggers with internal and exteranal sensors PT-100, PT-1000 and thermocouple data recorder type K. Our devices measure temperature and save it to a built memory, up to 32000 records. 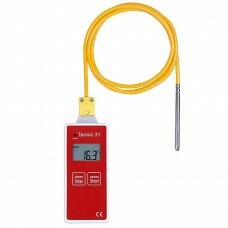 The high-quality data loggers sensors make the measurements accurate and fast in every measuring range. Each logger signalizes exceeded temperature limits. 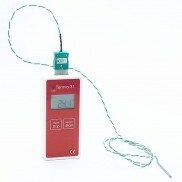 Standard probe (or customized size on request) and Calibration Certificate in set. 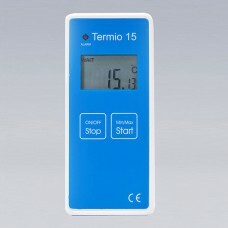 Termoprodukt temperature data recorders/loggers are perfect to use in transport, food industry, fridges, cold stores, labs, pharmacy, agriculture and museums.